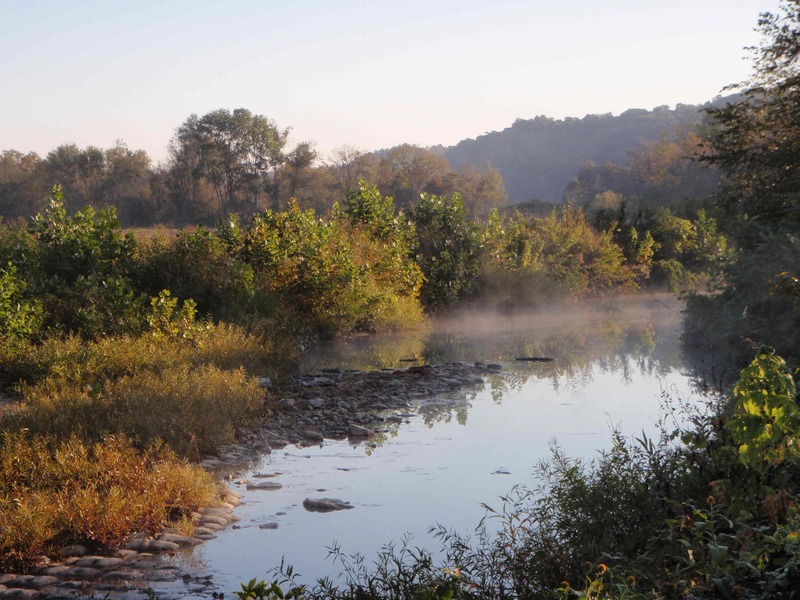 The foliage along Dry Creek is beginning to change colors. Lindsey has had the last 11 days off of work, so on her fall “break” she became my willing helper! 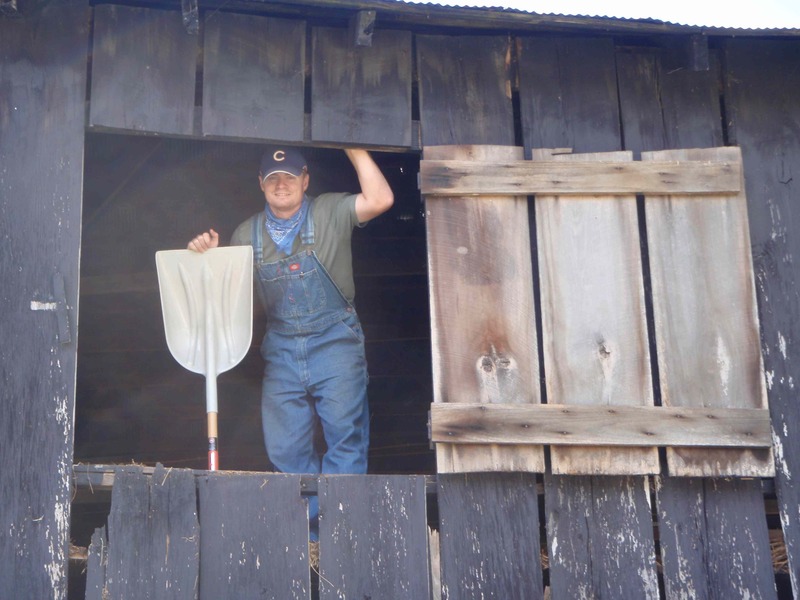 I’ve saved up 2 large tasks that needed two people to complete – cleaning out the barn and setting up the greenhouse. The greenhouse will be covered in its entirety in a separate post once it’s finished, so stay tuned. 1. we’ve had visitors, farmsitters, and went to a wedding. 2. it hasn’t rained in many moons, so my indoor time has been greatly diminished. 3. it really does take a lot of work to get this place up and running, and sometimes after completing the physical work the last thing I want to do is rehash it. The wedding was my brother’s. 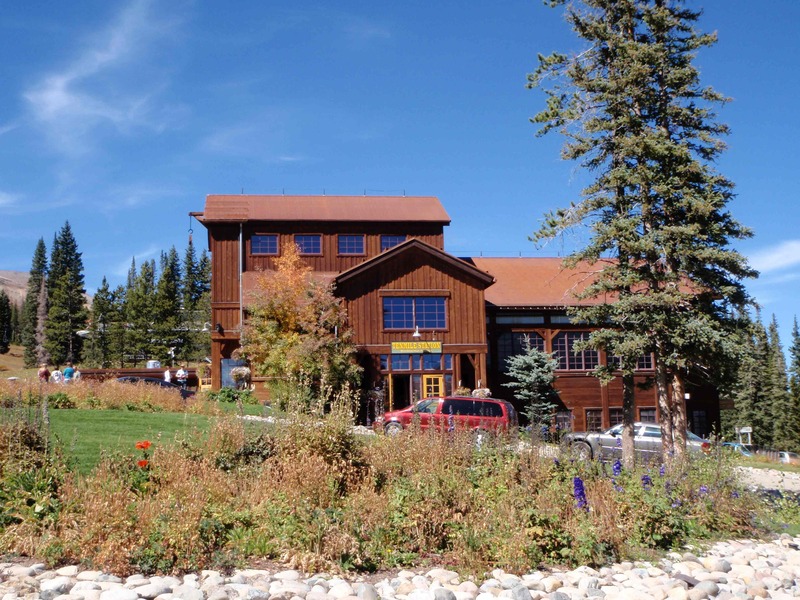 It took place in Breckenridge, Colorado, which meant vacation time! Lindsey’s parents were kind enough to farmsit for us while we went to the wedding. They took care of all of the animals and gardens while Lindsey and I celebrated with Billy and Keri. 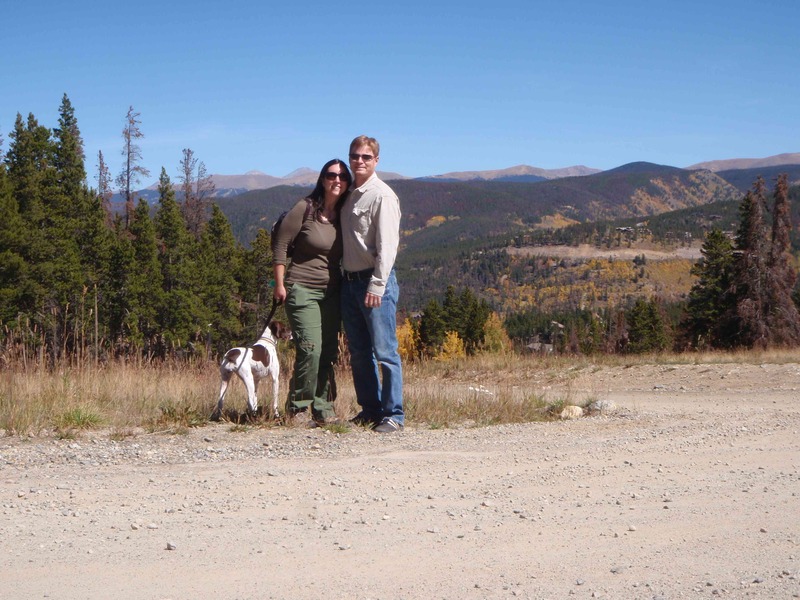 Breckenridge was beautiful in the fall and the weekend was almost perfect. The wedding was perfect. The Razorbacks blew the lead they had over then-#1 Alabama, and that was the only perfect weekend foil. Lindsey and I keep Billy's dog Maddie company during the rehearsal. Ten Mile Station, site of Billy and Keri's wedding. Isn't it gorgeous? 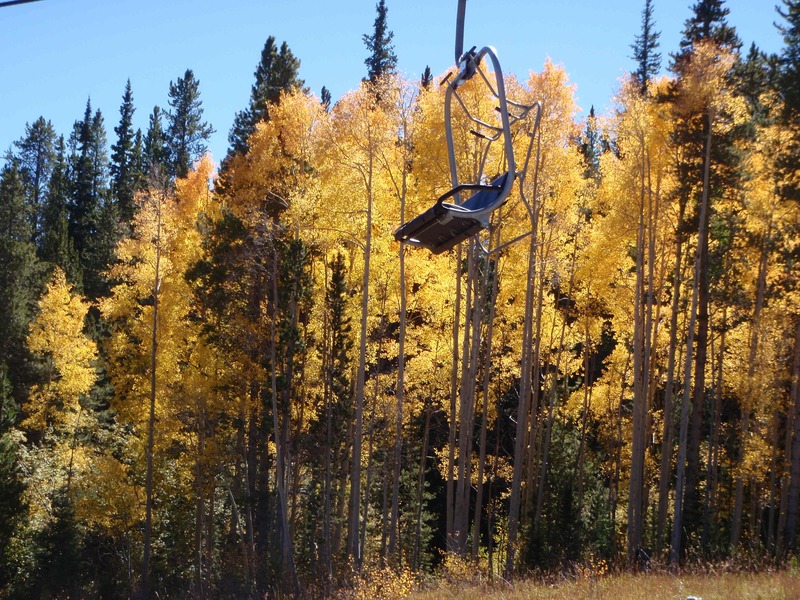 Aspens in fall colors provide a backdrop for the wedding. Back in Kentucky the trees are changing colors, too. Some of them, like the maples and pears, are changing colors because it’s October and that’s what they do. Others of them, like the cypresses and pines, are changing colors because it’s been so dry here that they are starting to yellow and brown. Needles are drying up and falling off. Our brainstormed U-Pick-‘Em Christmas tree idea is starting to lose inventory before December even gets close. The pasture crackles underfoot. We need rain badly. Hopefully it will rain before winter. If we do get winter storms, we now have a place that can shelter the animals! 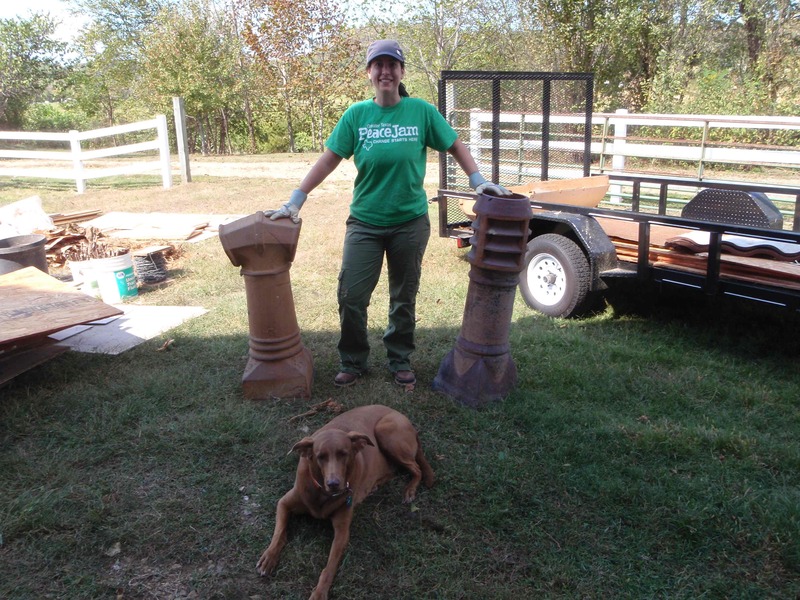 Lindsey and I spent 3 days clearing out the barn from top to bottom, eliminating many years of junk, debris, and manure. Now we’ve got some stalls for the goats in case we get wet windy weather in the winter. I don’t know exactly when our barn was built. The previous owner of the property said the 1920’s or 1930’s. I know that it was standing for sure in 1947, because there is a whole family’s worth of initials from the original family to have owned the property carved into one of the planks and it’s dated “1947.” My father-in-law’s a detective. I listen and learn. The barn is 2 stories with a drive-through lane through the middle of the ground floor. On one side of the drive through lane are 2 stalls, a large storage area, and a staircase to the hayloft on the second floor. On the other side of the driving lane is a single stall and an even larger storage area. On that side there is also a small storage area above the stall. We found all manner of stuff in the barn. Greenhouse panels (yay!). Ancient corn cobs and tobacco leaves (expected). Large piles of rusty barbed wire (boo!). 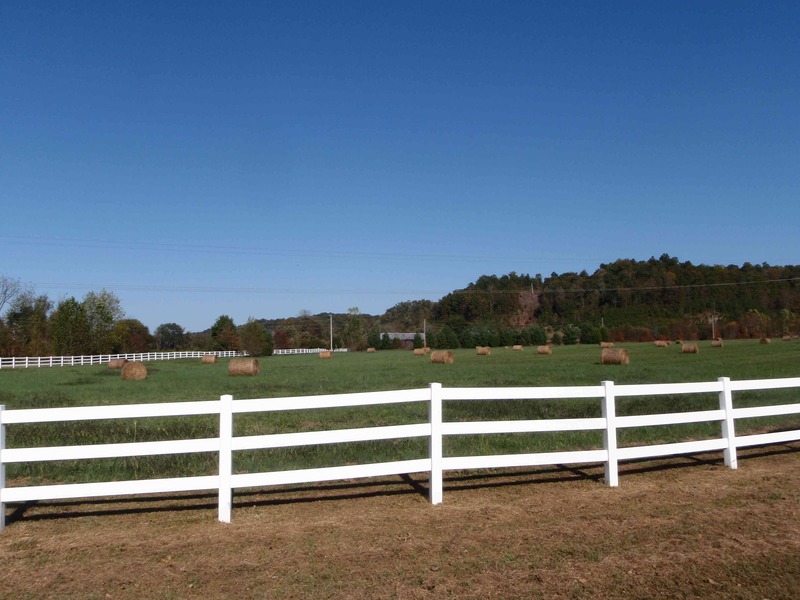 Manure, hay, tobacco plates, tobacco sticks, trellises, lumber, scrap metal, an antenna, plastic mulching sheets, planters, draft horse collars. We learned that baling twine never disintegrates and that it’s best not to think about how old that cloud of manure dust may be. 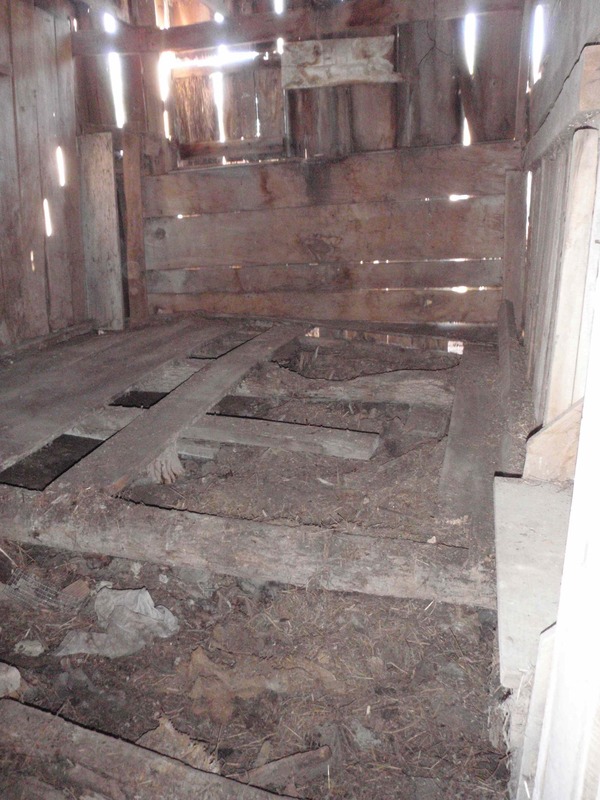 In any case, most of the barn is in good shape. Two of the three stalls are usable right now if we needed to put the goats in there during a severe winter storm. The other stall needs a new floor and a new floor beam. That’s a project for another day, but other than that and some rotted floorboards in the hayloft the barn is in surprisingly good structural shape. Almost everything we found got saved or recycled. We did dump one load at the landfill, unfortunately, but that couldn’t be helped. One load of trash that we couldn’t think of a use of from at least 64 years of inhabitation isn’t too terrible, I guess. We paid $13 to dump the load of trash and got $37.50 for the aluminum and scrap metal, so all in all we have a clean barn and enough money to see a couple of movies. That’s right, big city friends, I said a couple of movies. For both of us. 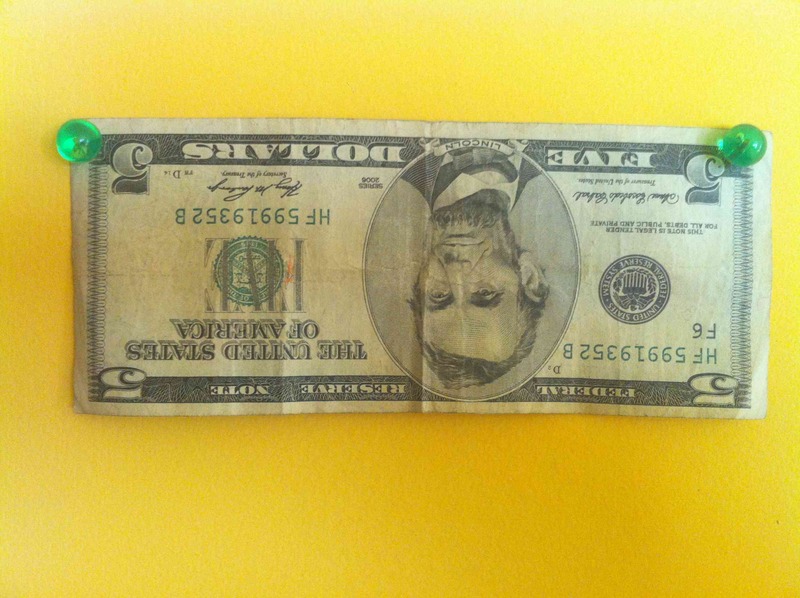 Life’s cheaper at the Green River Theater. 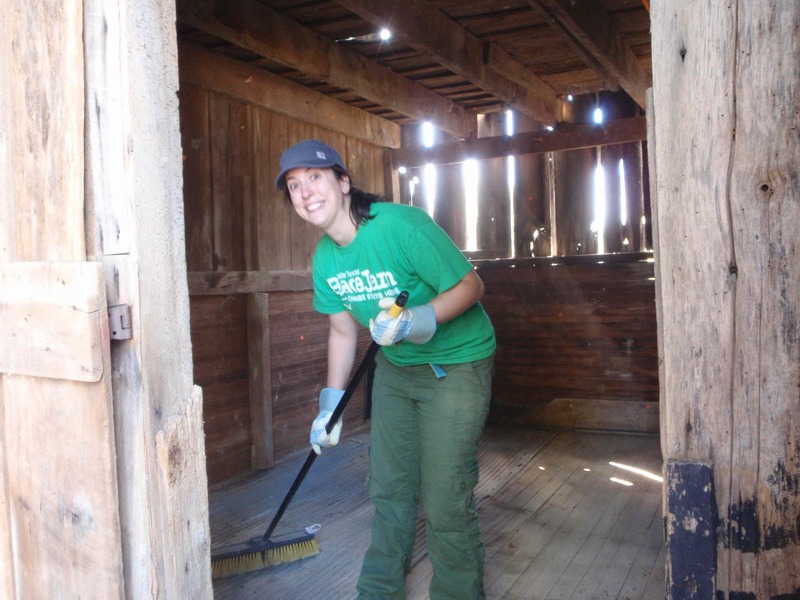 Lindsey sweeps out one of the barn's stalls. No, I'm not robbing the barn. 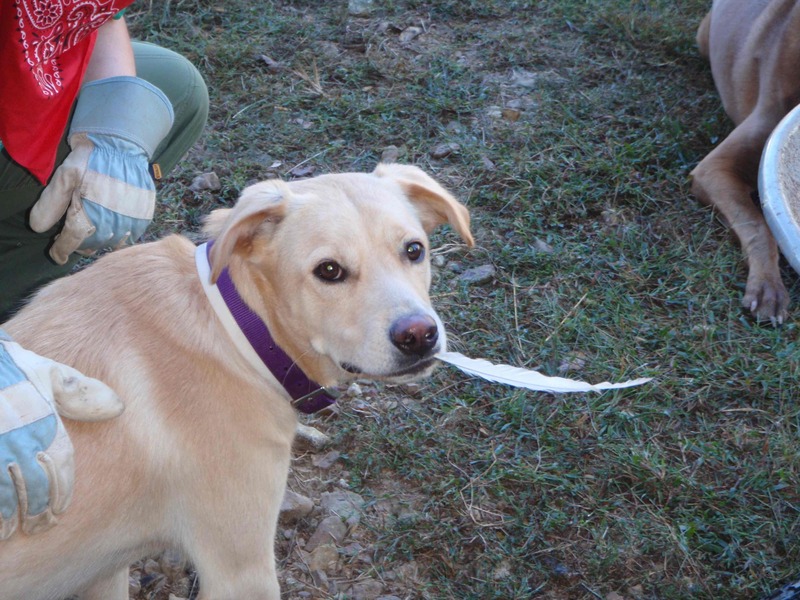 The hankerchief was necessary to keep manure dust out of my mouth. 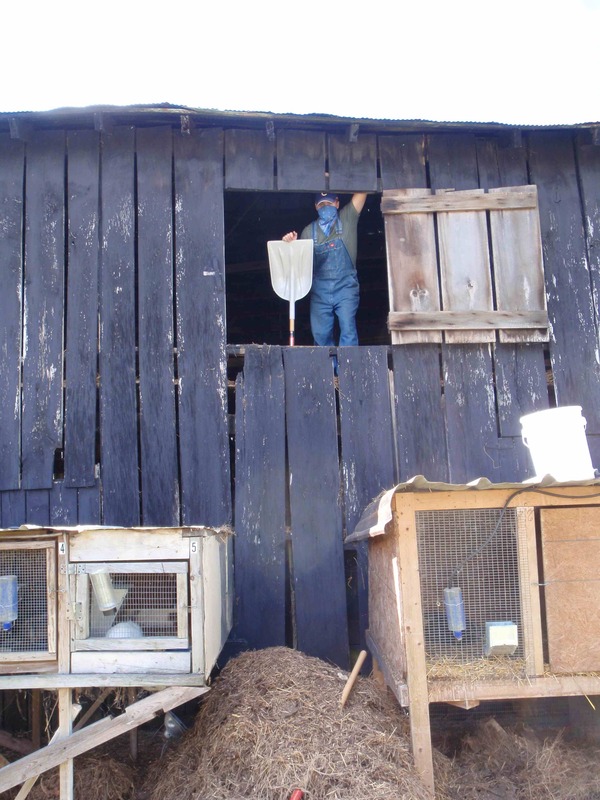 Shoveling ancient hay and manure from the barn's hayloft. 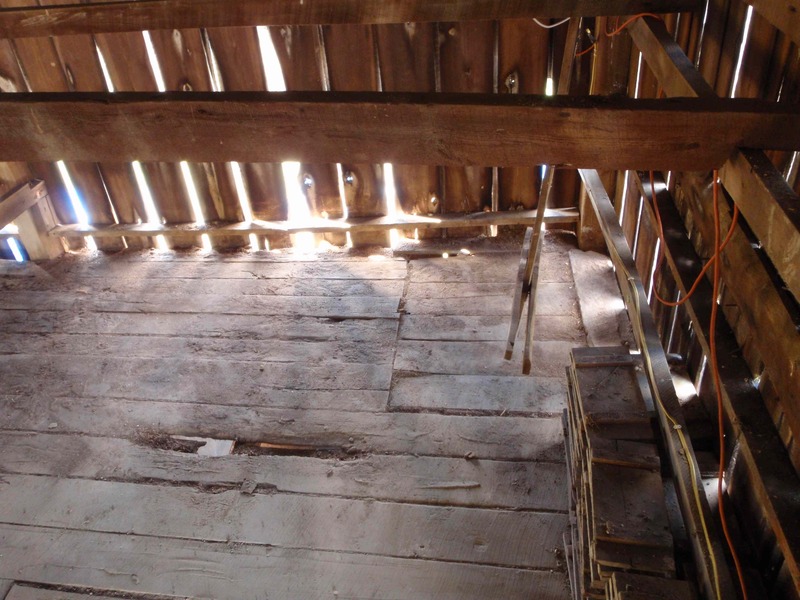 The floor in the barn loft could use some work, but at least it's visible now. It was buried under corn cobs and tobacco leaves. Any guesses as to what these might be? The one on the left is ceramic. The right one is metallic. The big pile of junk in the barn. Most will be re-used in Lifestyles Lane, some had to go to the scrap metal place. A little went to the dump, unfortunately. 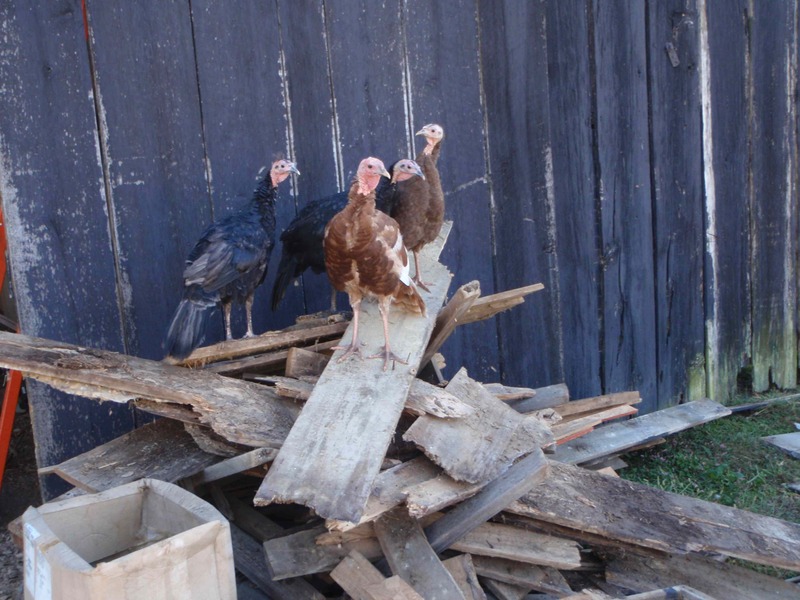 The turkeys enjoyed perching on all of the new stuff coming out of the barn and generally getting in the way as much as possible. 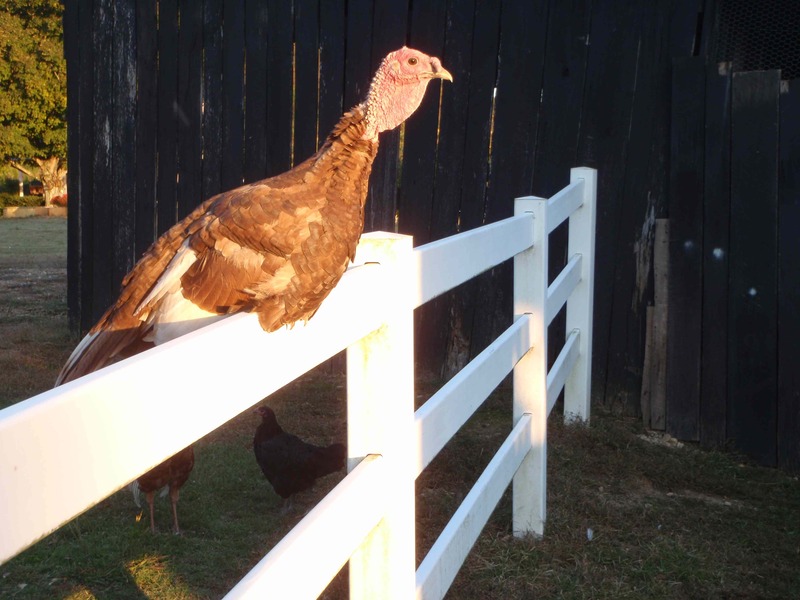 The turkeys enjoyed sitting on all of the new perches we were providing them as we cleaned the barn. Being old heritage breeds, they are quite good flyers and are capable of roosting in the trees and on top of the barn when they want to. Their favorite nighttime roost is the tailgate of the trailer, but I make them go in the poultry house. We have enough coyotes around here at night without putting sleepy turkey on their menu. The turkeys are getting pretty big now. Big enough that they’ve decided that they can chase Scooter, our 45-lb dog, around with impunity. One hen in particular seems to enjoy tormenting him, but the whole flock will join her. He will mostly stand his ground with the one hen, but as soon as multiple turkeys enter the fray, he takes off running and the turkeys take off chasing him. Bailey, our older dog who is roughly twice Scooter’s size, occasionally comes to his rescue and chases the turkeys away. Mostly she seems to enjoy watching the turkeys do to Scooter what Scooter does to her most of the time. I’m not sure what brought this on. Scootie’s new favorite thing is finding the turkey feathers on the ground and running all over the place with the feathers in his mouth. Maybe the turkeys think he’s stealing them. Scooter's latest fascination is turkey feathers. He loves to collect them and run all over the place with them in his mouth. Besides the barn, our farm is starting to appear more legit. 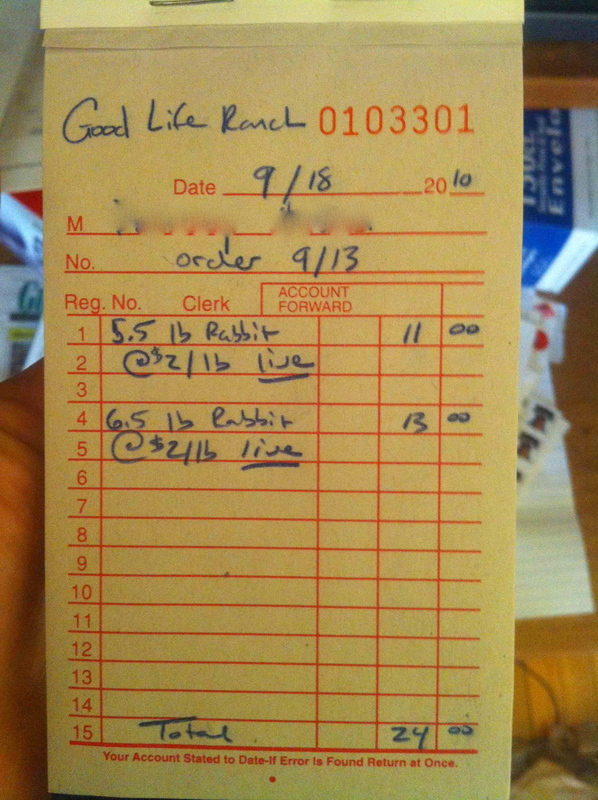 We’ve made some money lately selling rabbits. The goats are rotating through the pasture. 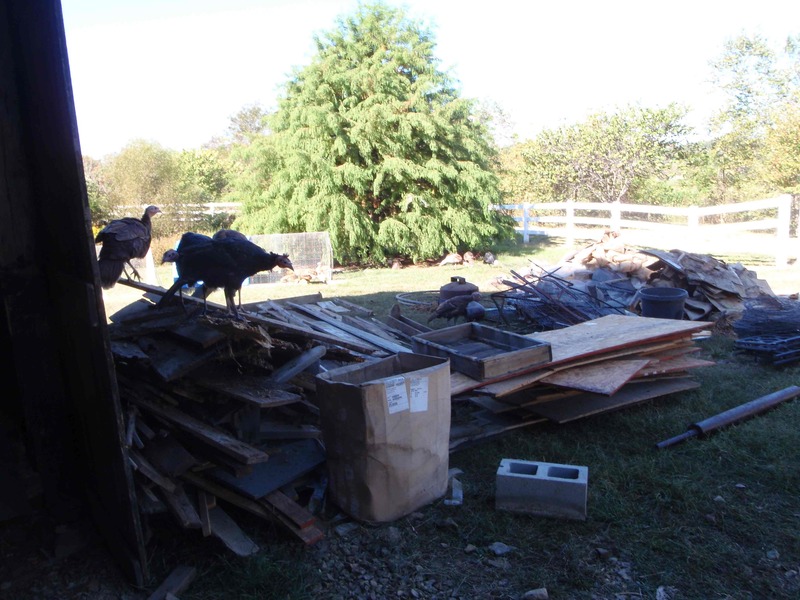 The junk, debris, and construction materials have been removed from the fields. Neighbor David has harvested his corn from the fields he leases from us. In exchange he’s cut and baled the hay in the front pasture. All in all, the farm is looking much better than when we arrived in June. Neighbor David's hay bales decorate the front field. The guineas have also been growing, although we’re just using them for tick management around the house and barn area. Some of them have fallen prey to a couple of critters, but the remaining ones sure do a great job clearing out ticks and grasshoppers! Speaking of predators, the coyotes have been coming close at night. The other night they were right outside the goats’ paddock. 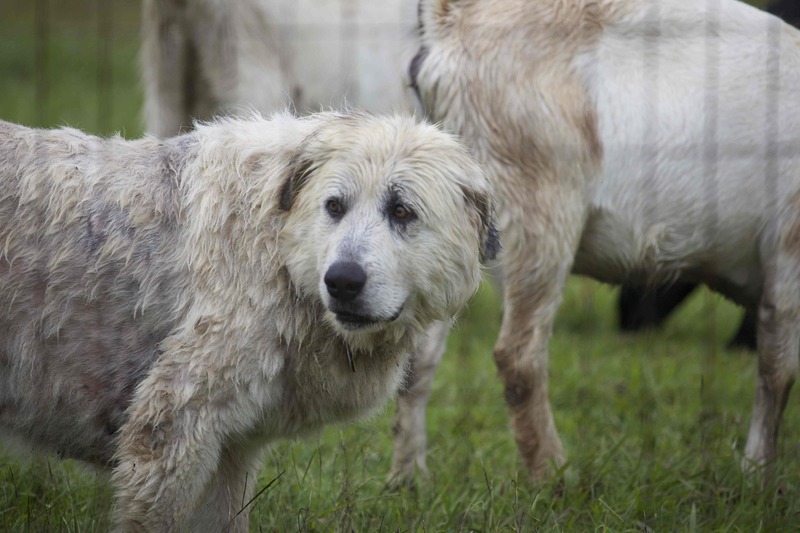 I could hear the coyotes making a racket and I could hear our livestock guardian dog Maggie growling. Usually she barks a lot at night as she patrols, but this was deep-throated, threatening growling. The coyotes eventually took off, so Maggie did her job in the first challenge of her authority. Way to go, girl! Maggie's mug. This is what coyotes see when they sniff around the goats at night. 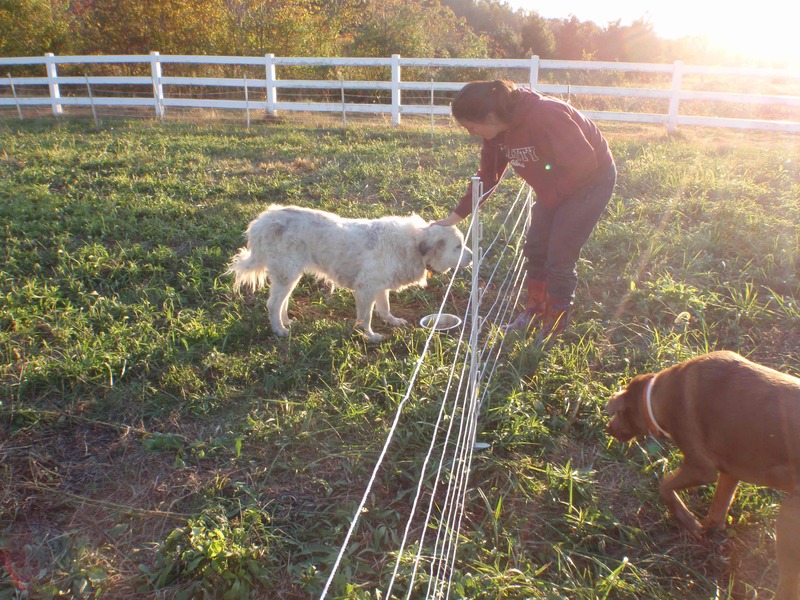 Lindsey feeds Maggie while Bailey investigates the possibility of pilfering her food. 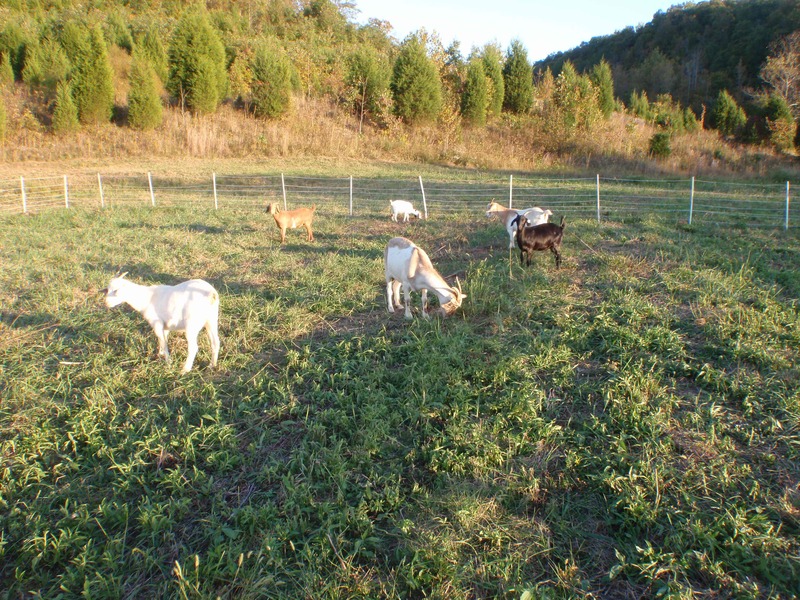 Maggie's goat herd is rotating through the pastures, hopefully focusing on the many weeds that choke out our grasses and legumes at the moment. Our last project over Lindsey’s “break” has been building the greenhouse. We’ve had our first frosts already, so we need to get our sensitive San Antonio plants inside the shelter of the greenhouse soon. It should be ready inside of a week now, and we’ll have a post dedicated to it once the structure is completed. 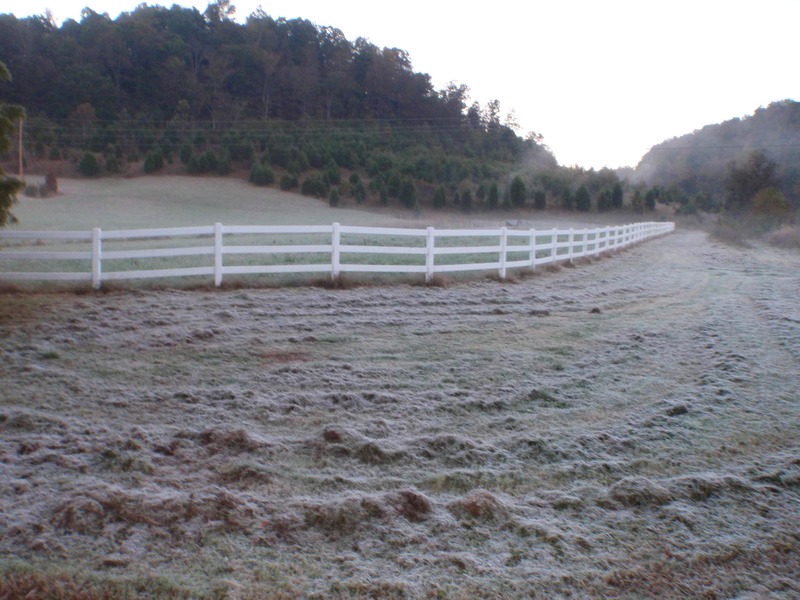 We had our first hard frost on October 2nd. The goats didn't seem to mind, but the basil sure did. Today I went to see about some Kiko goats to add to the two Boers that I got from my mother- and father-in-law and Lindsey for my birthday. 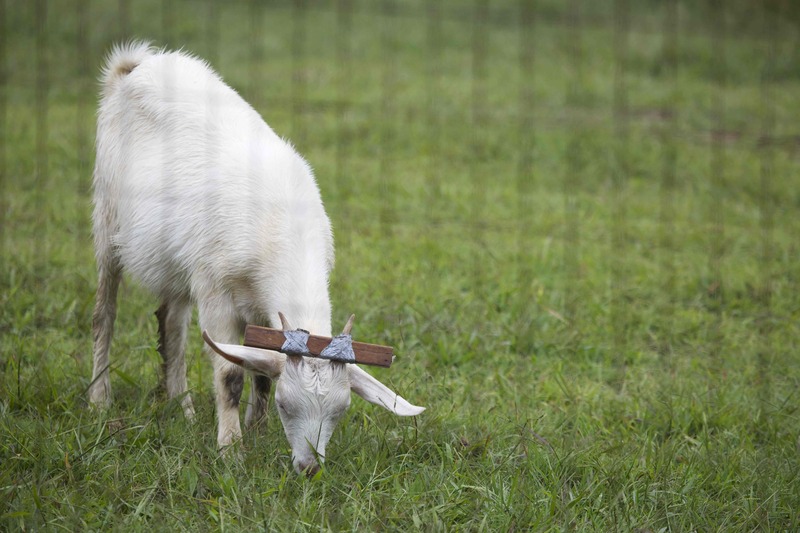 Both the Boers and the Kikos are supposed to be excellent meat goats. 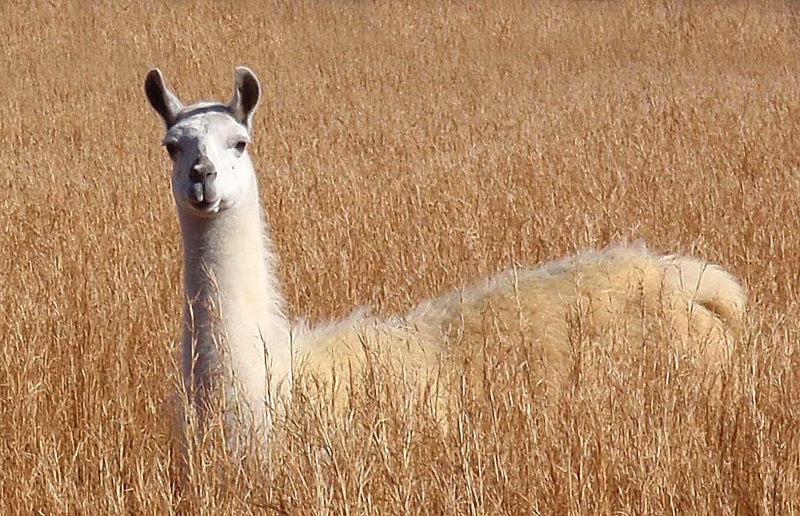 The Boer breed was developed in the drier climate of southern Africa while the Kikos were developed in the wetter climate of New Zealand. I’ve read some things that suggest that the Boers do better in the US when they’re west of I-35 and the Kikos do better east of I-35 because of the climate. West of I-35 is more similar to South Africa while east of I-35 the climate is more similar to New Zealand. 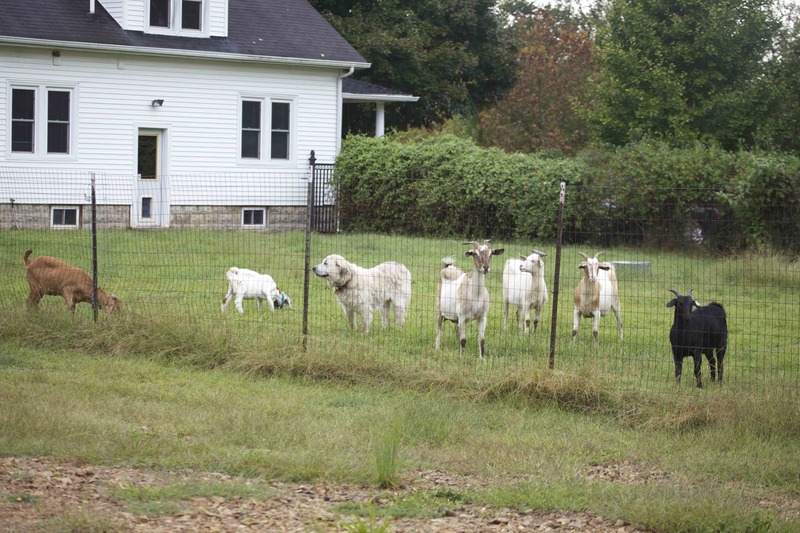 I like characteristics of both breeds and being a scientist at heart, I want to experiment and see which breed is going to work better for us here in central Kentucky. We’ll determine which breed works best by breeding these does and looking at the weights of the kids they wean, by seeing how often we have to worm them, and by observing how their hooves grow and how often we have to trim them. As you can probably tell from the intro picture, I did indeed buy some goats today! Marty and Janet at Red Brush Farms were extremely nice and helpful. 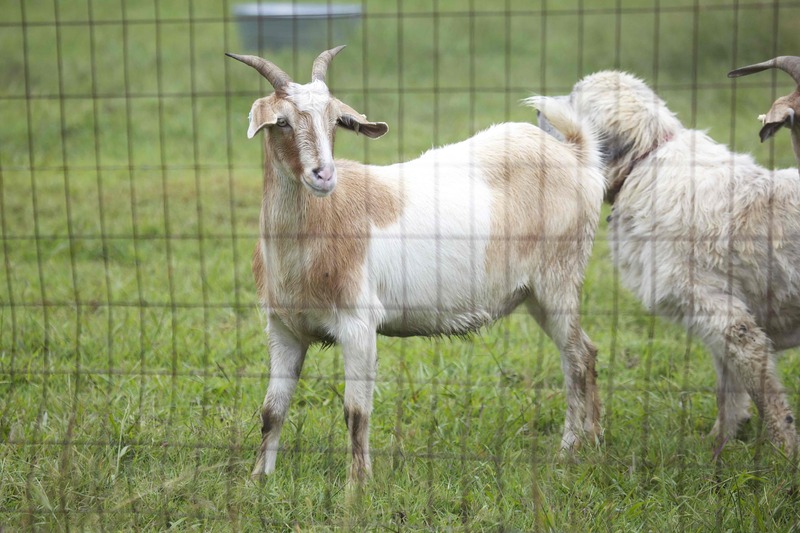 I encourage anyone interested in Kiko goats to give them a call. They had high quality goats, were very knowledgeable, and incredibly generous. I went to their place with a very limited amount of money to spend and came home with more than I ever thought I would due to their kindness and desire to see their animals cared for well. 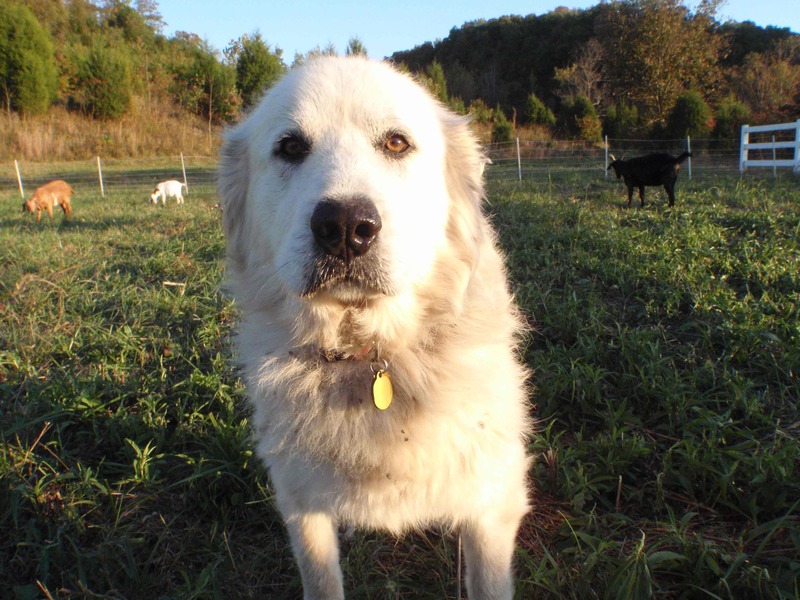 Maggie is 7 years old and an experienced LGD. She’s already adopted our two Boer kids into “her” herd and is keeping a watchful eye on everything in her new surroundings. She’s been introduced to Bailey and Scooter through the fence, and seems to be fine with them so far. We’ll be careful with the introductions, though. Maggie’s much bigger than Bailey and little Scootie. 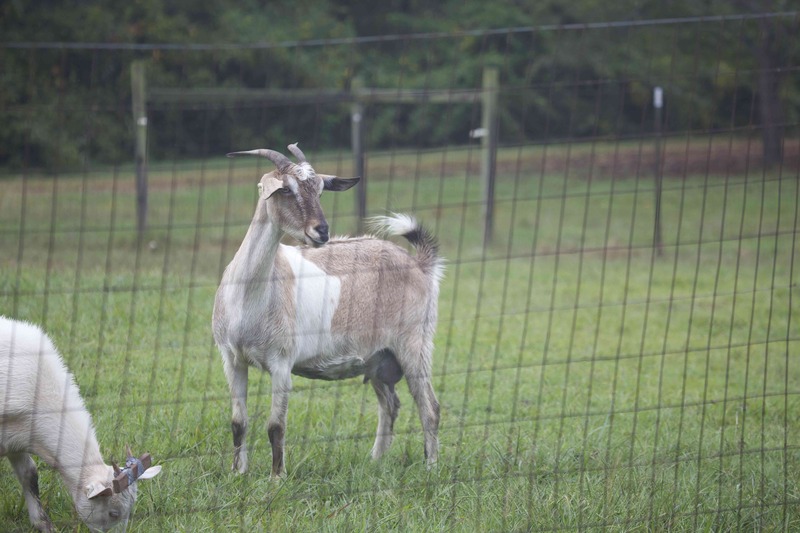 I’ve been watching the herd out in the pasture, and Maggie will snooze while the goats graze around her. If they move off more than about 20 feet from her she gets up and goes over to lie down closer to them. Everything I’ve read suggests that the LGDs do this during the day and are very active patrollers at night. That’s good, because this is what we hear at night: click me! So Maggie’s job is to keep those coyotes away. This is Miss Priss. She’s 4 years old and 100% New Zealand Kiko. According to Marty and Janet she had a single kid her first pregnancy and 3 sets of twins. She’s also had good hooves and very good scores on parasite tests. She’s now the matriarch of our herd. This is Miss Fancy’s #351, which we’ve shortened to Fancy for brevity. She’s a 100% AP Kiko yearling and her dam has been a consistent top performer at Red Brush Farms. She seems very alert and watchful. 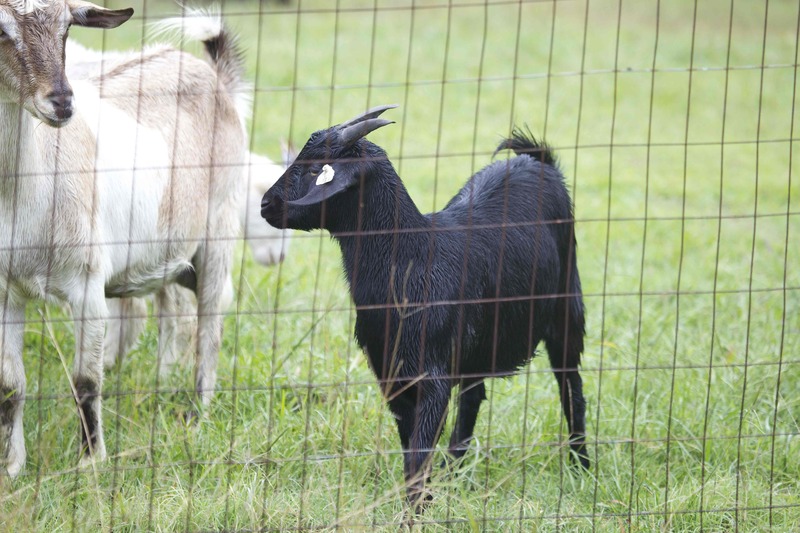 This is Ebony’s #76, or now “Ebony.” She’s a striking solid black doeling who is the offspring of one of Red Brush Farm’s foundation does. Marty and Janet said that she weighed 51.9 pounds at 90 days old, so good growth rate is hopefully in those genes. Ebony is initially the friendliest of the new Kikos, or at least the most curious. She’s the only one who approaches me when I’ve gone in to check on them – which I’ve probably done too much. I have a habit of just going in with the goats and sitting for a while so they get used to me. All 6 goats are pretty flighty right now. 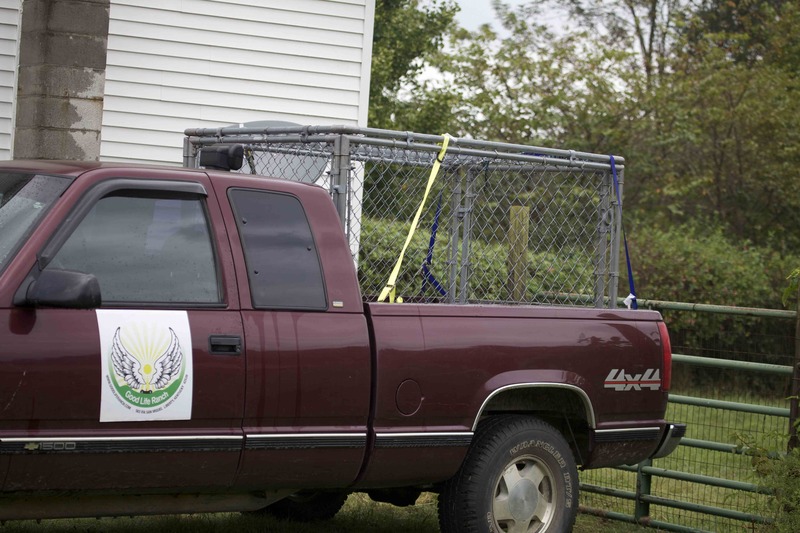 Livestock crate for the truck. Marty and Janet were so kind to me! They also threw in this livestock carrier for the back of the pickup in the deal. It’s much nicer and more functional than the dog crates I’ve been using to haul everything around and will come in useful over and over again for us. The carrier is chain link with a gate on one end. Very good day all in all after a rough start – we lost 7 broiler chicks in one of the tractors this morning. We got over 5″ of rain last night (our rain gauge only goes up to 5″, so it could’ve been more), and in one chicken tractor the chicks slept out in the open rather than going underneath the tarp portion. When I went out this morning there were 10 chicks that were apparently dead, but 3 of them were breathing a little bit and after being dried off with a towel and placed back into the brooder under the heat lamp they recovered and seem to be doing fine right now. All the other animals weathered the storm well. The turkeys do seem perturbed about the ankle-deep water in places, though.